Rosepeak Kitchens is a family owned and operated business located in North Richmond, Hawkesbury Valley, NSW. 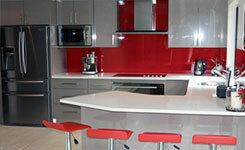 Our kitchen design team has over 70 years combined experience in the industry. Whilst our specialty is kitchen design and renovation, we also provide design, renovation and makeovers for bathrooms, laundries and many other home or commercial projects. 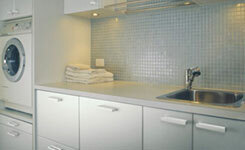 Rosepeak Kitchens has experience designing kitchens in many styles from contemporary to modern to classic. We custom build kitchens according to your requirements so that you can finally have the kitchen that you have always wanted. 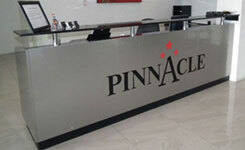 Our professional expertise and experience will ensure that your dreams become a reality. 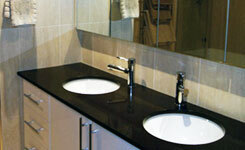 Only the best quality materials and fittings are used and you may select from an extensive range of styles, colours and finishes. Rosepeak Kitchens offers services from custom designing a complete new kitchen, to simply replacing the doors, panels & benchtops. The laundry is one of the smallest rooms but it also one of the most used, so it makes sense to carefully plan your laundry renovation. Rosepeak Kitchens custom makes quality joinery for just about any application including Home Theatre, Office & Reception, Bars & Cellars.